This article does not aim at providing you a medium interpretation of each number, but rather the essential energetic feeling about each specific time prompt, through their numerology essence. If you see a triplet inserted in a four digits time prompt, you must process the two double digits numbers separately. By example, if you see 11:10, the 111 triplet will not be meaningful here. Instead, we consider the interpretation of 11 and 10 separately to get an explanation combining the numerological description of both together. Then, 11-10 means a time is coming of intuition, spirituality, teaching, charisma, dynamism, independence, infinite potential, wholeness, self-determination and exploration. Here, a double digit beginning by 0 needs to be considered as the number of the second digit. Let’s say in 00:01, 00 must be considered a 0, and 01 must be considered a 1. Refer to the previous section «Double digit numbers numerology» from this article to know more about the double digits signification. This phenomenon is simply the duplication of a double digit number twice as a result of a time display. Duplication in time prompt is believed to be associated to a connection with someone else at the same moment. So on top of the usual double digit numerology signification, there is also a heart connection with another person that thinks of us when we turn our head toward the clock at the precise moment we see the time prompt. 1001 is the angel number. Number 1 creative influence and new beginning aspect of 0 tells you are about to begin a new phase of life, a time of spiritual awakening to planetary consciousness and illumination. 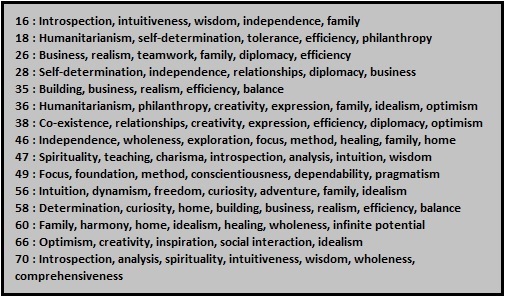 For each following combination, you must interpret numbers individually, then combine their numerological signification together. For single digit numbers interpretation, refer to the first article of this series NUMBERS (TIME PROMPT SERIES 1 OF 4), at section »Numerology rational symbolic ». 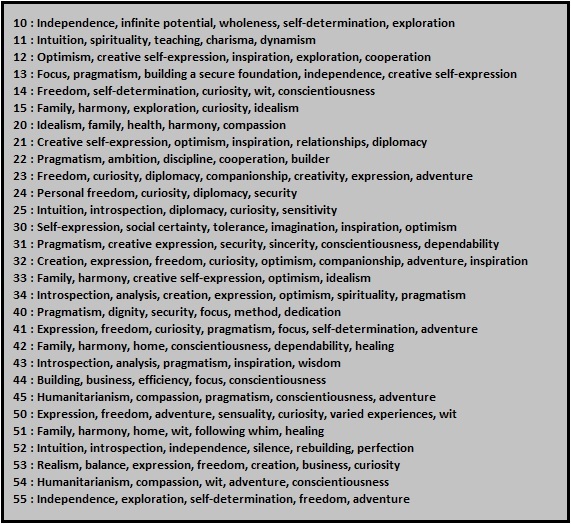 To show you another example, for time 12:21 or 21:12, we would formulate an interpretation combining numbers 12 and 21, giving a statement such as: Family, harmony, creative self-expression, optimism, idealism. I keep seeing duplicate numbers when I randomly think to check the time ( for example, 15:15, 21:21, 10:01 etc). This freaks me out because it happens ever so often.